Corrine Caddy joined The Country Trust at the start of 2017 and is one of our newest Farm Discovery Coordinators. 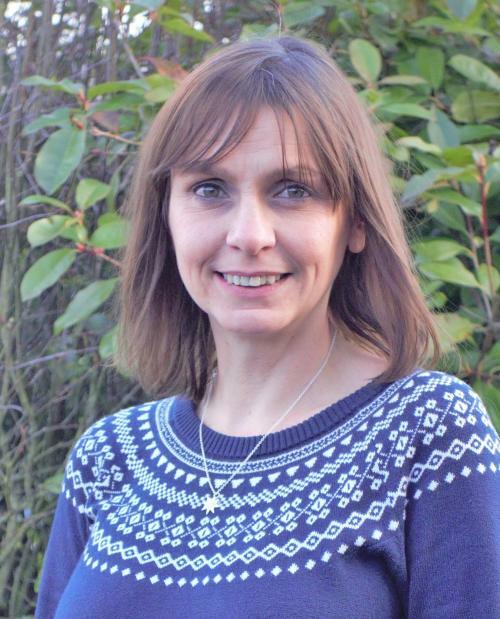 She lives in Great Hayward, Staffordshire and together with another new recruit, Julie Warburton, is responsible for organising farm visits for schools across the West Midlands area. Corrine comes with considerable experience of working with children and for the past six years was responsible for the hands on educational programme at Shugborough Estate, Staffordshire which attracts 20,000 primary schoolchildren every year. Corrine tells us about her experience of running her first farm visit for The Country Trust, to Hollywood Farm in Stone, Staffordshire and the impact it made on her. My first visit as a new Country Trust Farm Coordinator was a trip to a goat spaceship with Burnwood Community Primary School, Stoke-on-Trent. Actually it wasn’t a spaceship, but the world’s only goat roundhouse at Hollywood Farm, Stone, Staffordshire – it certainly looked quite extra-terrestrial though. It is a special round housing structure divided up like segments of an orange, with lots of Boer goats and their kids spending winter in the pens (segments). It has open sides to let healthy air circulate and the goats enjoy it because they are herd animals and are happiest being able to see each other around the partitions. When the school arrived, farmers Ruth and Antony Key welcomed the children. They introduced their farm and talked about how to stay safe while there and around the goats. They also talked about the goats needing to be safe from the germs we might bring in - especially the young kids – so we had to disinfect our boots. After this we met the very friendly goats. There were a lot of new words to learn such as “bucks” for male goats and “does” for female ones. One child asked about why they had ear tags, so Ruth picked up a goat and Antony got a scanner (a bit like a supermarket scanner) which read the number on the tag. They then explained that the ear tag number was a bit like a birth certificate. Everyone had a look the scanner which told us when the goat was born, who its parents were and how many days old it was. We then took a look at the bedding and learnt it was the left over stalks from our porridge oats. After that, it was time for a girls versus boys challenge. Grabbing wheelbarrows and bedding down half a pen each and gathering food for the hayrack. Some of the children hadn’t handled a wheelbarrow before and said this was the best part of their day. The girls finished first so we tried to count the goats in the next pen. This was very difficult because they were playing and jumping around a lot. I could only count 21, but there was 26. We had a great time on the next activity which was to build square doe and kid pens in teams of two. The metal hurdles are quite tricky to slot together and the pairs really had to work hard together to construct accurate pens. The next job was to split into two groups and have a go at plaiting pink and orange goat collars and accurately weigh out and measure healthy quantities of goat food. For those who had never plaited anything before, this task was quite tricky. But everyone got the hang of it by the end of the activity. The pupils were allowed to take their handmade collars home. Finally, it was time for lunch in the farmhouse followed by some colouring and mask making activities. This was much trickier than it sounds as the pupils had to remember the colours on the Boer goats and remember to add horns and ear tags. We used this an opportunity to remind ourselves of some of the new words everyone had learned that day. The children climbed aboard their school bus happy and excited and all felt they’d had a great day.